So since I started plus size blogging I've been able to meet some totally adorable new people, mostly online so far, but hopefully more in real life soon! And one of those people is Kat, aka murderofgoths. Like me, she is a plus size blogger and a chronic illness sufferer, but she is also a totally incredible illustrator and artist! Check out this amazing piece she did of me!! 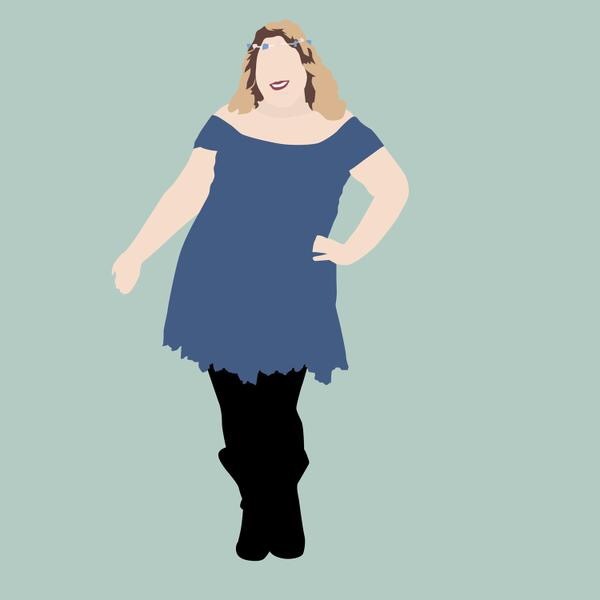 Kat makes the most wonderful art of plus size babes, and she sells it too! Isn't Kat just so talented? Go check out her blog and her art!